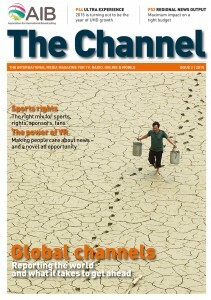 The Channel is the international media magazine published by the AIB, with news, features, comment, analysis and profiles. 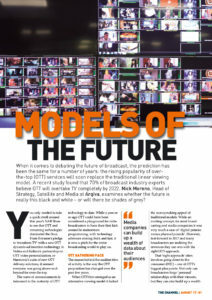 It is the broadcasting industry's only international orientated magazine that covers broad areas of broadcasting, from strategy to technology, programming to distribution, journalism to production, management to regulation. The magazine is read by senior executives, technologists, producers, editors and journalists in media companies throughout the world. Over the past two decades, the AIB's international media magazine The Channel has grown into a well-respected publication with a global readership of professionals in all sectors of the media industry. Now The Channel has moved online with a more flexible format. This allows us to upload and archive in-depth interviews and features with media companies in all parts of the world without having to adhere to a set publication deadline - we will be publishing interviews and articles online throughout the year. The latest article in The Channel examines the future mix of television delivery. Find out how hybrid delivery will remain relevant, and how great content starts conversations and drives audiences. 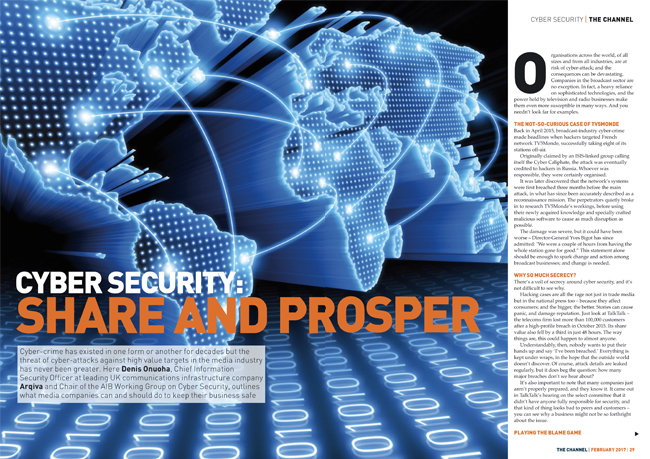 This month we focus on the ever more critical issue of cyber security and take a look at international broadcasting from the United States of America. The chair of the AIB's Cyber Security Working Group, Denis Onuoha (CISO at Arqiva), talks about the need for all companies to focus efforts on protecting themselves from cyber attack. He also explains what is being done to ensure collaboration across the media industry. We talk with John Lansing, CEO of the Broadcasting Board of Governors, about the way US international broadcasting is set up and how it is having an impact around the world. 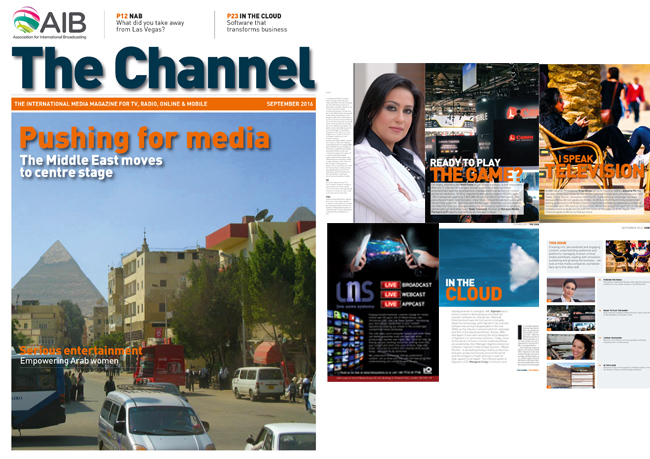 The latest edition of The Channel is available in page-turning edition, with the option to download it as a PDF. The focus of this issue is the Middle East, with programming and people featured. There's also a look back at NAB, an interview about the services offered by Signiant, details of a new news system being unveiled at IBC, and more. Click on the image to the right to read this edition.